Safety and injury prevention are becoming hot topics, with more and more people getting involved in the vertical arts as a way to get fit and have fun. Because there's so much information to cover, I've broken it down for you into different sections. Just click to read more about . . . These 6 simple tips will go a long way towards injury prevention through basic safety practices. Every student of pole dance should know and practice these recommendations. Instructors, are you promoting these in your classes to help keep your students safe? Learn what to do and what NOT to do for a safer experience. Plus, watch a short video on how to load test your equipment to ensure it's safe before every use. These are just a few items that can help make your workout safer. Read more about them and find out what you need to help ensure your safety. Reduce your risk of serious injury by following three basic principles. WHEN to give it a rest and call it quits for the day. This article is a quick read that can help you enjoy your pole dancing sessions more by keeping injuries at bay. Injured? You'll find help for the most common types of injuries here. 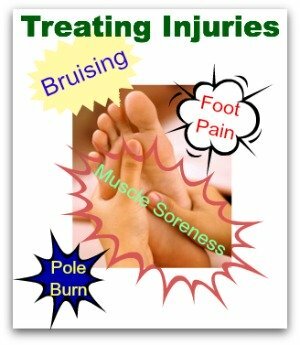 From pole burn to strains and sprains, you can learn simple self-treatment methods to help you feel better faster. 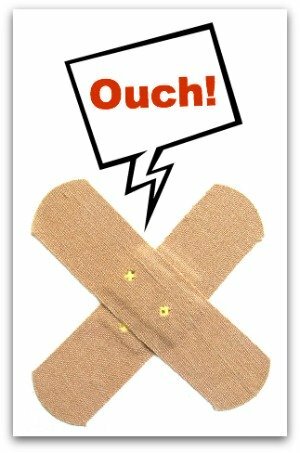 Learn some basic first aid principles and how to apply them to poledance injuries. Plus, get tips for prevention and suggestions to help you recover and avoid further injuries. Get better and get back on your pole sooner with this helpful information. 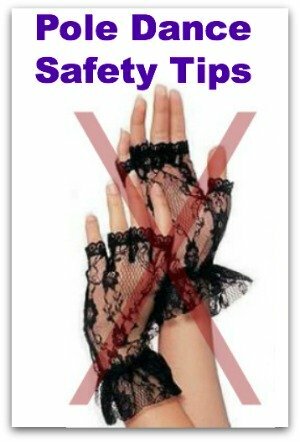 In addition to the general safety and injury information above, I also have lots of pole-specific tips for you. Since each type of pole (friction fit, platform, etc) has its own unique safety concerns, I've created a page where you can read more about safety for your specific model. Just click the applicable link below to make sure your installation and setup are as safe as possible.